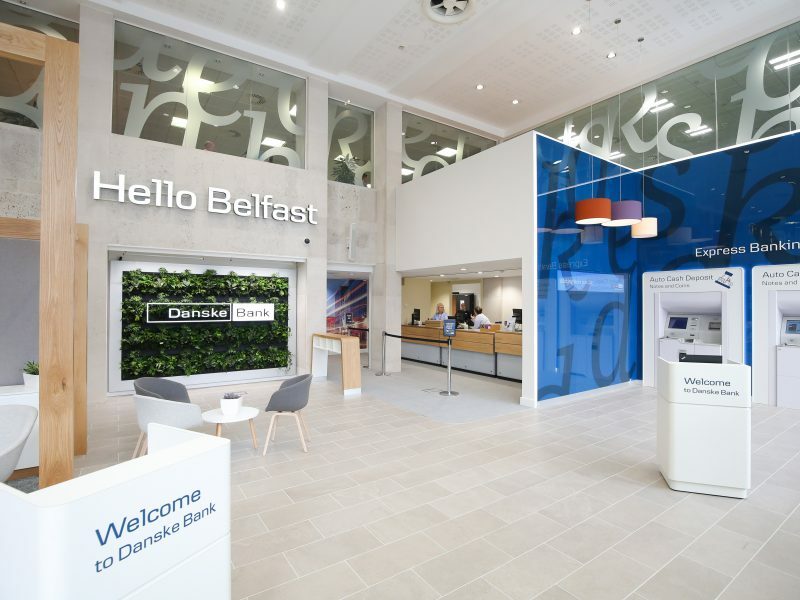 McCue provided complete office and retail fit out for the listed Danske Bank building, Donegal Square West, Belfast on the ground, mezzanine, first and fifth floors. 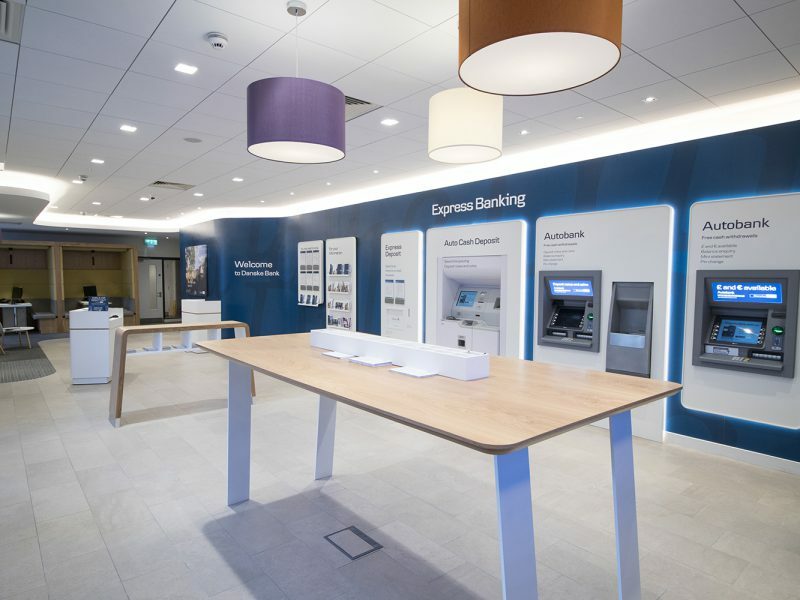 The 16-week turnaround included office space and an entirely new front entrance for employees with a new staff access location – designed to greatly improve efficiency for staff on entering the building. 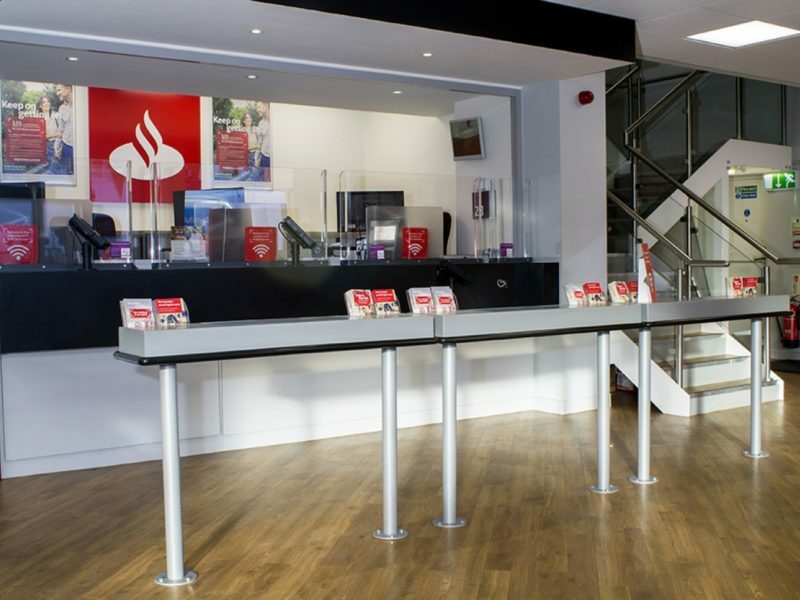 The fit out further segments the internal layout of the ground floor by separating the delivery area. 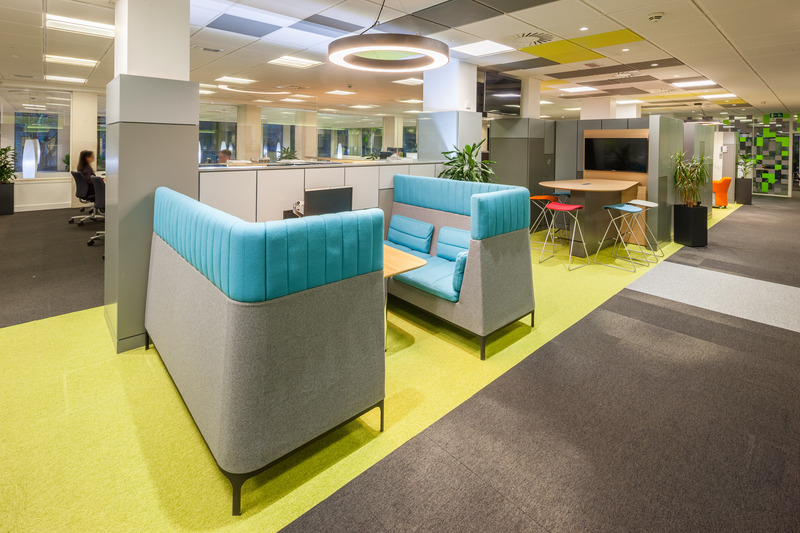 Bespoke soundproof booths were imported from Germany to be used as private meeting areas in the open plan office space offering staff improved privacy. 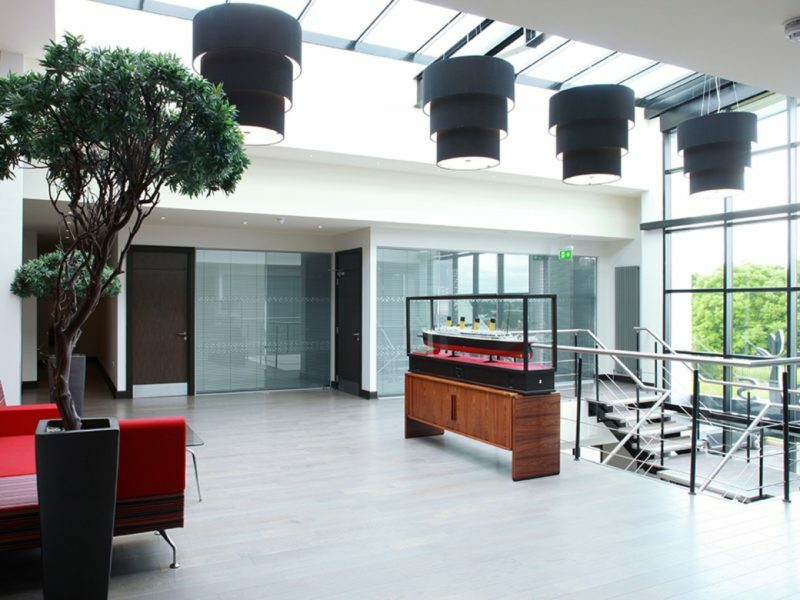 A new open plan kitchen area was also included on the first and fifth floors. 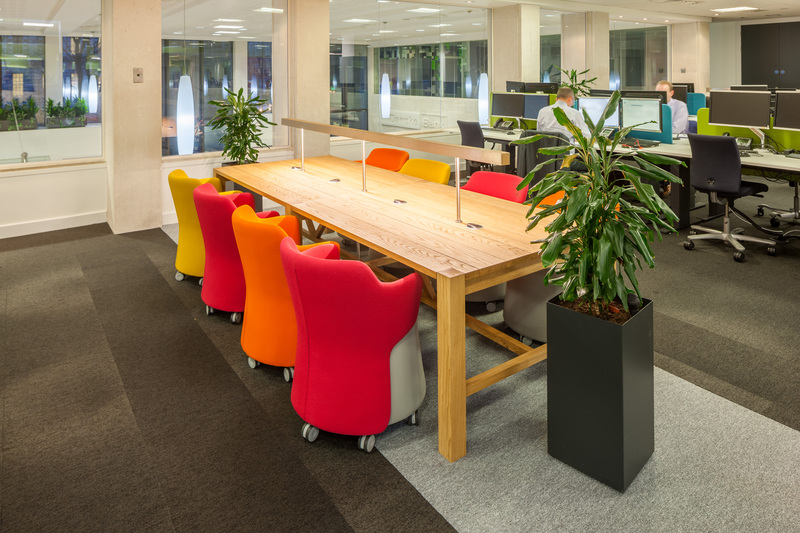 Zoning and feature walls throughout the space help to break up large areas and provide both private and social areas. 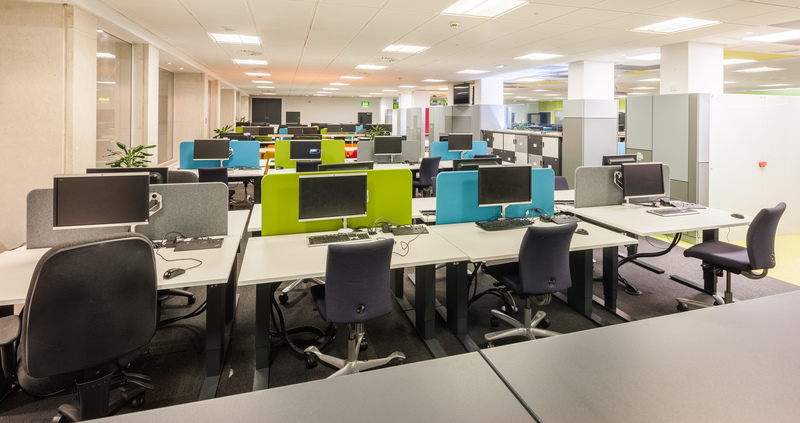 All work was carried out in a live work environment ensuring minimal disruption to staff whilst work was carried out.